10 x 14 in - 25 x 36 cm. The challenge was to paint something cold. 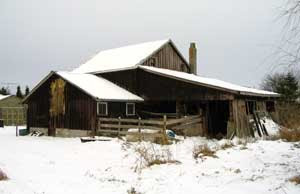 I picked a simple 'Barn in the Snow'. 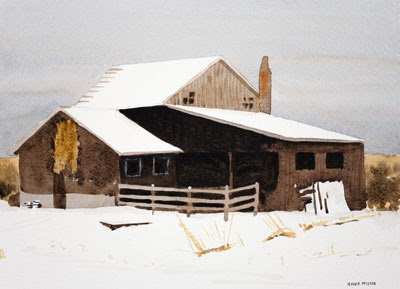 It is also a continuation of white barn rooves theme from the 'after Hopper' in the previous blog entry. There is quite bit of white gouache in this, some pre mixed with watercolor paint but hopefully it is not too obvious.